Considered one of the most beautiful countries in Eastern Europe, the Czech Republic was formed at the start of 1993, having formerly been part of Czechoslovakia. Previously a communist state under the influence of the Soviet Union, it has undergone rapid development in the past few decades, and in 2006 became the first former Eastern Bloc state to be rated as a “developed country” by the World Bank. Today, the Czech Republic is an increasingly popular destination for international study, with almost 44,000 foreign students currently enrolled at its universities. EU statistics released in 2014 listed it as the 12th most popular destination for Erasmus students in Europe. There are certainly many perks for those choosing to study in the Czech Republic: well-esteemed universities, affordable tuition fees and living costs, and last but not least, a vibrant and colorful cultural life. 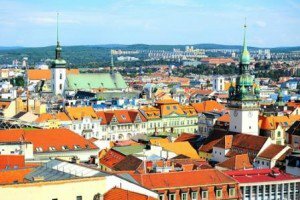 Considering whether to study in the Czech Republic? Read on for our guide to top universities in the Czech Republic, student cities, applications and study costs. In 1918 Czechoslovakia was established, splitting into the Czech Republic and Slovakia at the end of 1992. Today the Czech Republic is a parliamentary democracy. Official religion is Catholicism, but more than 50% of the population describe themselves as agnostic or atheist. Prague is the sixth most-visited European city after London, Paris, Rome, Madrid and Berlin. Prague contains one of the world's most varied collections of architecture, with styles including Gothic, Renaissance, Romanesque, Baroque, Rococo, Art Nouveau, Cubist, Neo-Classical and more. Dating back some 600 years, the Czech higher education system today comprises more than 70 universities, of which about two-thirds are private. A total of 18 universities in the Czech Republic feature in the top 300 of the QS EECA University Rankings 2018 – a dedicated ranking of top universities in Emerging Europe and Central Asia – and five of these are included in the QS World University Rankings® 2018. The highest-ranked university in the Czech Republic, Charles University places fifth in the EECA rankings. It was established in 1348 by Emperor Charles IV and remains the country’s largest university, with 17 faculties and about 49,200 students. It’s a popular choice among international students travelling to the country, and its internationalization program currently includes partnerships with almost 200 universities worldwide. The campus of the medieval institute is located in Prague, only adding to its appeal. The Czech capital, hugely popular among tourists, offers an attractive and lively setting, alongside various work opportunities. Also located in Prague, the Czech Technical University was founded in 1707, and is another of the country’s oldest and largest academic institutions. It’s the Czech Republic’s second highest-ranked university in the EECA rankings, in eighth place. 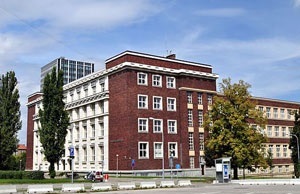 The Czech Technical University in Prague has eight faculties, which offer more than 100 degree programs, mainly in engineering and related fields. Around 24,000 students are currently enrolled at both undergraduate and postgraduate level. The university prides itself in having many world-renowned alumni throughout the years of its existence. Among the most famous is physicist Christian Doppler, who lends his name to the Doppler effect. The second largest public university in the country, Masaryk University is, coincidentally, in the country’s second largest city, Brno. 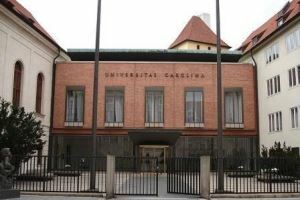 Established in 1919, it’s a member of the Compostela Group of Universities and the Utrecht Network, both of which seek to foster collaboration between universities across Europe. It’s currently ranked 17th in the EECA rankings and teaches around 36,000 students in nine faculties. The university offers programs taught in English and German, making it an obvious choice for many international students. 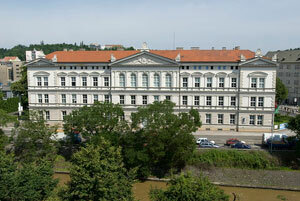 Also located in Brno, Brno University of Technology was founded in 1899 and is ranked 19th in the EECA rankings. Initially, the university offered a single course in civil engineering, but has progressively grown into a major academic institute, with 22,000 students enrolled at eight faculties. To support internationalization, Brno University of Technology participates in EU projects such as Erasmus, Tempus, Leonardo and others. It offers a selection of English-taught programs from undergraduate through to PhD level, mostly within its main focus area of engineering. Also ranked among the top universities in the world is Palacký University in Olomouc, ranked 701-750 in the world. It’s the second-oldest university in the Czech Republic and is also ranked 56th in the EECA ranking. A landlocked country in the heart of Europe, the Czech Republic shares borders with Germany, Austria, Poland and Slovakia, and is a member of the EU. Capital city Prague has in recent years garnered a reputation as one of the most beautiful cities in Europe, packed with historic and cultural interest and lively nightlife. While Prague, in particular, has become known for its party scene, the Czech Republic also offers plenty of opportunities for relaxation and exploration. It has a glorious countryside, full of mountains, hiking tracks, cultural sites, medieval structures and picturesque historic towns. During your stay, you will no doubt encounter the famous Slavic humor, which may take some getting used to, but is guaranteed to have you chuckling in the end. Czech cuisine is known for its traditional soups, meat dishes, dumplings, salads and sweet pastries, and the country’s longstanding beer-brewing tradition continues to thrive. The country’s capital, Prague is without a doubt one of the most beautiful cities in Europe. This New Jerusalem, as it was once called, attracts millions of visitors from around the world each year. Highlights include its striking castle, UNESCO-listed medieval Old Town, and thriving arts scene, museums and nightlife. Prague is currently ranked joint 26th in the QS Best Student Cities index, reflecting the city’s large and internationally diverse student community, formidable reputation among local and international recruiters, and relatively low study and living costs. Prague is home to many of the country’s best-reputed universities, including two which rank among the world’s best: Charles University (currently ranked joint 314th in the world) and the Czech Technical University in Prague (491-500). The second largest city in the Czech Republic, Brno is the historical capital of the Margraviate of Moravia. Brno will most certainly charm you with its medieval fortresses and castles, full of mysteries and providing material for numerous local legends. The city is also famous for its Brno Exhibition Centre, which is one of the largest exhibition centers in the world. Brno has a vibrant cultural life, with various museums, theatres and galleries located in the city. Although now very much a modern city, it also preserved many of its traditions, folklore, folk music, festivals and the traditional Moravian costumes. Brno is currently ranked 59th in the Best Student Cities index, having received its highest score for the new Student View category. 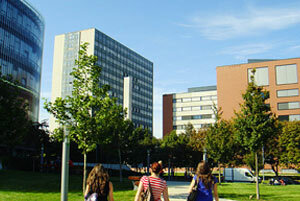 Brno is also an important center of higher education, with 13 universities located in the city and about 90,000 students. Some of the highest-ranked Czech universities are in Brno, including Masaryk University and Brno University of Technology, both of which feature in the QS World University Rankings 2018. Brno was ranked 59th in the QS Best Student Cities 2017 index, achieving a very high score for the new Student View category. 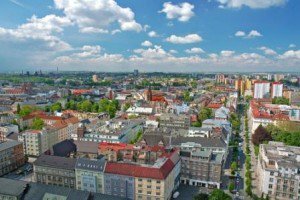 Ostrava is the third largest city in the Czech Republic, located close to the Polish border. A major industrial hub, formerly known as the steel heart of the Republic, it has, in recent years, been reborn as one of Europe’s relatively unexplored treasures. Attractions include the beautiful cathedral, medieval castle, the country’s largest mining museum and the Vítkovice area, through which visitors can explore the region’s rich industrial heritage. The city is also home to the internationally famed music festival Colours of Ostrava (July), and Ostrava Days of New Music (every second year in August), while its growing nightlife and culinary scenes are finding a focal point in the lively Stodolní Street. Ostrava is home to several well-respected universities, including the University of Ostrava and the Technical University of Ostrava. The main requirement for applying for a bachelor’s degree in the Czech Republic is the completion of a full secondary general education. If you apply for a master’s degree, you will be assessed based on your undergraduate qualification; if you apply for a doctoral degree (PhD), you’ll be expected to have completed a relevant master’s degree. Students may apply for several courses at various institutions and faculties. The deadline for submitting applications is usually the end of February or March. Most higher education institutions offer the option of applying in electronic form, online. At most universities, applicants are required to sit entrance examinations, which are usually held between June and September. Assessment methods vary from university to university, and also depend on the field of study. 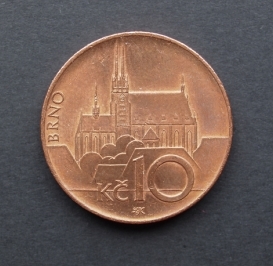 The European Credit Transfer System (ECTS) is used by most universities in the Czech Republic, making it easier for students to transfer course credits both within the country and also more widely within Europe. Good news for some of you: the Czech Republic is a member state of the European Union, and students from other EU countries don’t need a visa in order to live and study here. All you need is a valid ID or passport and an acceptance letter from your university. For students coming from outside of the EU, a student visa is required. Contact the Czech embassy in your country for guidelines on specific visa requirements, as these vary from one country to another. Higher education at all public universities in the Czech Republic is free of charge for students of all nationalities – as long as you are willing and able to study in the Czech language. If you wish to enroll in a foreign language course, additional fees may apply. For example, the fees for English language programs average around CZK 108,334 (~US$4,500). Students should also expect to pay some fees for administration, and for any additional programs completed. Private institutions have different tuition fees, typically in the range of US$2,000-15,000 per year. Life in the Czech Republic is generally much cheaper than in most Western countries. Expenses covering food, accommodation and public transportation should total around US$350-750 per month, though of course it depends on the lifestyle you are used to and your own budget. Prices can also vary depending on the city you choose to study in. However, it is safe to say that students coming from Western Europe or the US will be surprised by the affordable and yet high-quality lifestyle. To support yourself whilst studying, you might like to find a part-time job. Students from the EU/EEA and Switzerland do not need an employment permit, and students from other countries will need employment and residence permits. However, no employment permit is necessary from foreign students up to the age of 26 whose working days do not exceed seven successive calendar days or a total of 30 days within a calendar year. Another way to help your funds is to find a scholarship – it’s always worth checking to see if your chosen university offers scholarships that would suit you.